KG KG-12 Big Bore Cleaner. 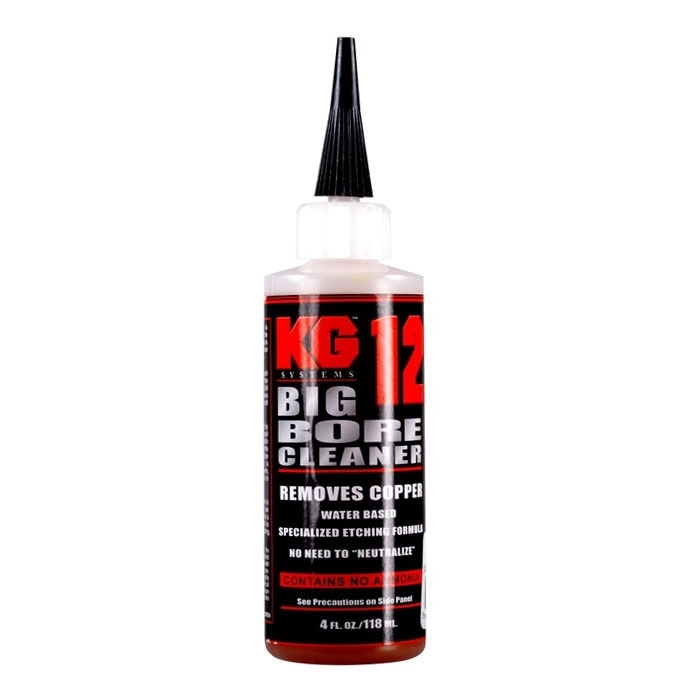 KG-12 was developed specifically to clean the copper fouling from large bore military weapons. 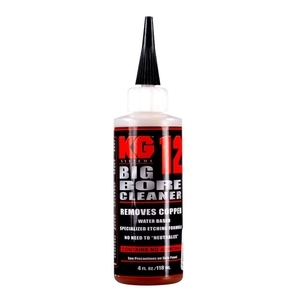 KG-12 provides professional shooters, gunsmiths, armorers, hunters and other firearm enthusiasts with a product that will remove the toughest copper fouling without damaging the bore. Unlike ammonia-based products, there is no need to neutralize KG-12 or to remove it quickly because KG-12 contains no ammonia. 4oz. bottle. Super product. Fast cooper removing.